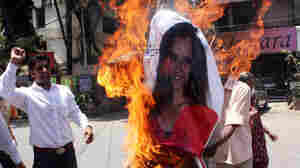 March 31, 2010  An Indian tennis ace and a Pakistani cricket star confirmed plans to marry, sparking protests and a media frenzy. Such "cross-border" couples are not common, and it is not easy for them. History has left a bitter residue between India and Pakistan. There is still much suspicion and rivalry. March 31, 2010  The math teacher who inspired the movie Stand and Deliver died Tuesday after a long battle with cancer. Jaime Escalante may not have become a household name after the film, but he possessed an enduring gift: He could inspire, cajole, even taunt troubled kids to see themselves not as they were, but as they could be. March 31, 2010  A British parliamentary committee has released the first official report into the theft of e-mails from a leading climate research center last year. The panel said the unit had a culture of withholding information from global warming skeptics, but did not deliberately manipulate data to support its case. March 31, 2010  President Obama announced Wednesday a plan to open vast expanses of water along the Atlantic coastline, the eastern Gulf of Mexico and the north coast of Alaska to oil and natural gas drilling. 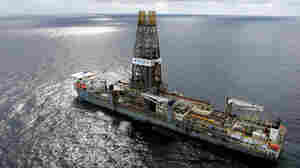 The move reverses a ban on drilling off most U.S. shores. March 31, 2010  As more families find themselves displaced by the recession, the face of homelessness in America is changing. HUD recently released a study that offers solutions for dealing with the growing problem. Host Michele Martin talks with Secretary Shaun Donovan about the report. March 31, 2010  Many male politicians have been embroiled in salacious scandals, but rarely are female politicians caught behaving badly. Texas Sen. Kay Bailey Hutchison says that they just don't have the time. NPR Senior News Analyst Cokie Roberts concurs. March 31, 2010  Under the newly passed health care law, companies still get a subsidy for offering prescription coverage, but they'll no longer get a related tax deduction. Some say the change will cost them millions of dollars, and they may have to drop drug coverage altogether. March 31, 2010  In addition to expanding Internet access to rural areas, the National Broadband Plan is aiming to make access more affordable for those in low-income communities. The FCC recommends subsidizing monthly Internet costs, as well as training people in how to use a computer and the Internet. March 31, 2010  The president announces policy changes that would allow drilling on tracts as close as 50 miles to the Virginia shore, and end a longstanding moratorium on drilling from Delaware to Florida. Exploration in the Gulf of Mexico would be expanded eastward, and swaths north of Alaska would be opened up. Should Welfare Recipients Get Drug Testing? March 31, 2010  Legislators in several states want to impose drug-testing requirements on people who get welfare benefits. Critics say their bills are not just mean-spirited but unconstitutional. 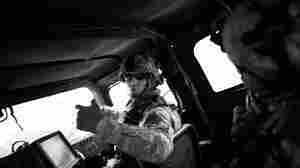 March 31, 2010  The Afghan village is fake, but the scenarios and tension are real as U.S. soldiers from the 101st Airborne Division train in the Louisiana pine forests. They will head to Afghanistan soon for one of the war's most challenging operations: taking Kandahar, home of the Taliban. 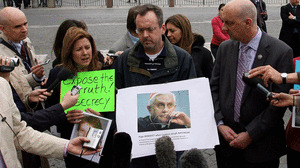 March 31, 2010  Allegations of child abuse by Catholic priests have emerged in Italy. Three men say they were abused as boys at a Catholic school for the deaf, and that no action has been taken since they reported the abuse more than a year ago. Pope Benedict is under increasing pressure for a more forceful response to the charges sweeping Europe and the U.S.
March 31, 2010  A controversial committee has announced that six winning candidates in Iraq's March 7 election are connected to the former regime of Saddam Hussein and must be disqualified. 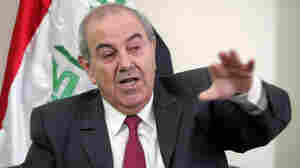 Critics say it's no coincidence that disqualifying them will erase the lead of secular Ayad Allawi and his alliance of Sunnis and Shiites.